How Far is The Gem Grove? 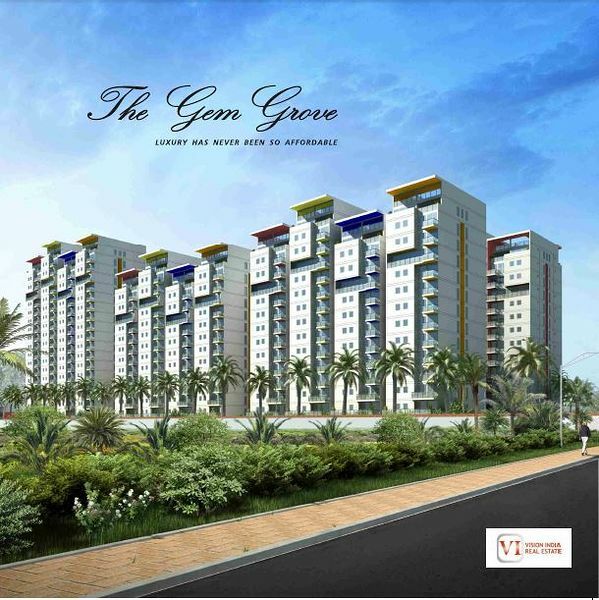 The Gem Grove, a ready to move residential development by Gem Group and Vision India Real Estate is located in Padur, Chennai South. The project offers skillfully designed 2-4 BHK apartments which are approved by leading financial institutions including Axis Bank, ICICI Bank, LIC Housing Finance Limited, among others. R.C.C Framed Structures with isolated/combined footings. R.C.C Framed structure with columns beams and slabs. All peripheral walls are 8” thick solid block masonry. Partition walls are 100mm thickness with hoop iron reinforcement. Living/Dining/Master Bedroom: Vitrified tile flooring of 24”*24” with matching skirting of 4” ht. Kitchen: Vitrified tile flooring of 24”*24” with matching skirting of 4” ht and 2’0” ht glazed tile dadooing above granite counter. Toilets: Ceramic tiles flooring of 12”x12” dadooing with 8”x12” tiles up to 7’.0” height. Staircase: Natural Stone flooring and skirting. Main door – Seasoned teak wood finish frame with OST Flush Door. All the window frames and shutters will be UPVC. All the windows will have security M.S.Grills as per Architect design. Granite counter with stainless Steel sink. Exhaust fan/Chimney opening will be provided. All the Plumbing Lines will be of medium gauge CPVC Pipe (internally) & P.V.C pipes (externally).All the internal pipes are concealed and external are open. All the sanitary fitting such as floor mounted EWC, Wash basin will be white color Porcelain Hindware/Parryware or its equivalent make. All the taps and other fittings will be chromium Plated, Ess Ess/Jaquar or equivalent. Oil bound distemper with roller finish on interior walls. Three phase power supply through individual DB & ELCB. Wiring: Concealed wiring of standard IS specified make. Switches: Modular Switches of standard IS specified make. 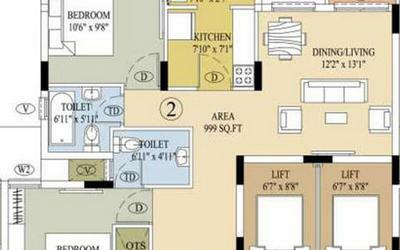 Provision for AC points in all Bedrooms & Living Rooms. Conduits for TV points in MBR, Living room and one additional bedroom, Satellite TV provision. Provision for Telephone points in Living and bedrooms. Backup power supply of 500 watts from DG for individual units. DG Back up for all common areas. Gem group has not merely been into Granites, Sugar, Mining but also has its presence in the Real Estate development since 1980's. Gem group has over 3240 hectares of land under management. A brief profile of the development undertaken by Gem Group is underlined as under. All the superstructures are an example of excellence, commitment and master craftsmanship. GEM PLAZA – Is a commercial building at Bangalore, with over 60 well designed shopping and offices. The plaza has an arresting granite and glass façade. We also have a beautifully landscaped atrium with a sparkling fountain and skylight.